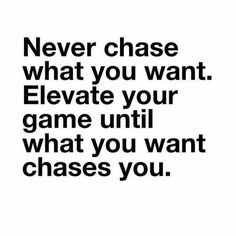 Keep this in mind when it comes to elevating your game. Today is a 50 word inspiration about you stepping your game up! Today’s goal is for you to understand how important it is for you step up your game when it comes to achieving your goals and dreams. I want you to take the 50 words below and apply them to your life. Here is your 50 word inspiration about stepping your game up! Step your game up when it comes to what it is that you want. Put your best foot forward and give everything you got towards achieving your goals and dreams. Deliver your best effort in all that you do so that you can be successful. Step up and achieve greatness! How do you step your game up when it comes to your goals and dreams? What effect does stepping up your game have on other people around you? What would you recommend to someone who is trying to step his or her game up in order to be successful? Your answers and comments can help yourself or someone else realize the power of stepping up in order to have the best chance at being successful. Previous article	← What Are Three Steps Towards Controlling Your Fierceness? Thank you for your comment and appreciation Living!